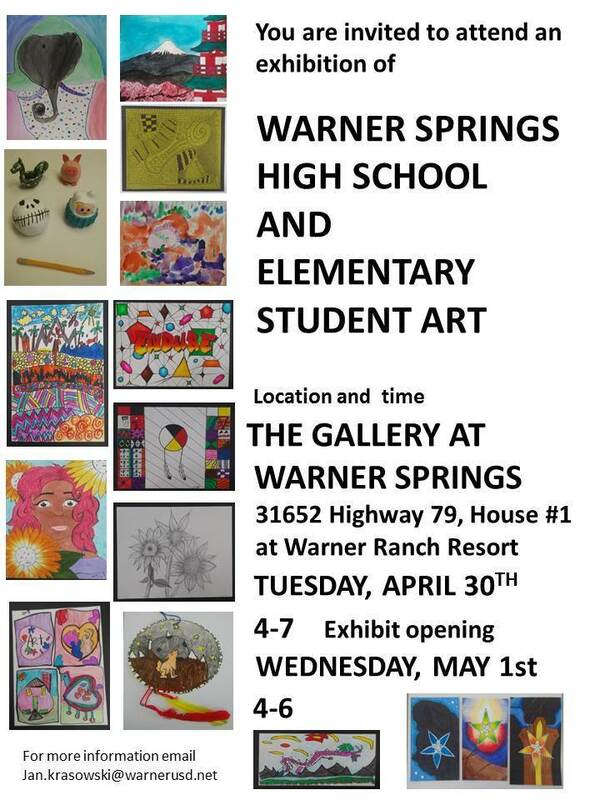 The Gallery at Warner Springs is hosting an exhibit of student art work. Please join us on April 30th from 4-7 to enjoy the excellent works of art and refreshments. An additional opportunity for viewing will be on May 1 from 4-6. Everyone is invited to attend. The student participants and their parents will be notified with an official announcement by April 15. A special thank you to Marguerite Apostolas for providing the gallery space and the Warner School’s Parent Teacher Community Club for providing the refreshments.